RFID, radio frequency identification is a promising and growing technology for automatic identification and data capture of moving and non moving objects. RFID is reaching and enabling tracking of moving/non moving items which barcode technology could not. Radio frequency identification (RFID) comprises of interrogators (known as readers) and RFID tags. Typically, tags are applied to or incorporated into a product, animal, or a person for the purpose of identification and tracking using radio waves. RFID technology combined with other tracking and locating technologies like GPS are helping companies across the world to identify and locate their assets in real time. Our solution is developed in collaboration with leading mobile platform technology vendors including Sybase (Middleware), Alien Technologies (RFID Reader). We work with you to understand your requirements, and implement the best RFID asset management solution at your site that meets your business needs. Mayosys’s RFID asset management solution will help improve your operational efficiencies and your bottom line. With our 100% browser based solution, you no longer need to waste long hours trying to inventory, reconcile and manage your assets across the enterprise. Quickly identify missing or misplaced assets. 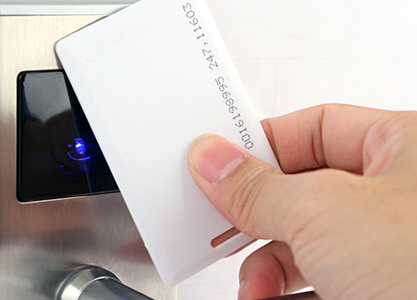 The Mayosys solution and RFID technology provides the ability to read multiple tags simultaneously. Our database supports large data sets, providing the ability to inventory and manage thousands of assets. Your enterprise assets represent a significant investment, so you want to take care of them properly. RFID tags provide more sophisticated data protection, where data stored on barcodes provide no protection from being copied. You’ll benefit from accuracy and survival of data contained on RFID tags. Whereas barcode labels may deteriorate overtime, RFID tags store information on a long-lasting microchip. Our team takes pride in delivering quality and reliability in every RFID product we build and implement for you. Using extensive testing, quality control processes every build is delivered with the highest perfection. We understand that with growth, your RFID solution must evolve to accommodate diverse and increasing number of assets inventoried, new features, and design changes. Our team takes special care to address these areas during the design process, and our solutions are highly configurable to meet your needs.